Enjoy a relaxed and inspiring few hours learning how to create beautiful intricate paper-cut illustrations. 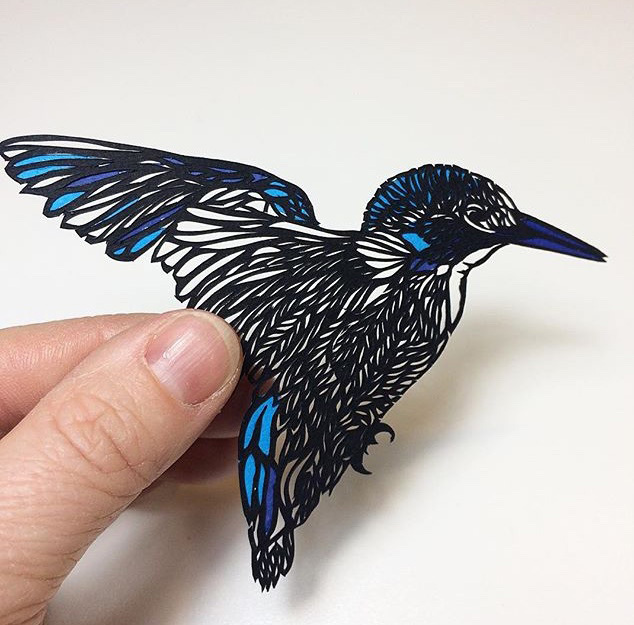 Paper cutting artist Emma Davison will guide you through the techniques involved. Showing you how to create your own paper-cut art. In this class you will create your own lovely hand cut paper art and the gain the knowledge that will allow you to continue paper-cutting with confidence. You don’t need to have any drawing skills to attend this workshop as you will be provided with three templates. A full paper-cutting kit is also provided and included in the workshop price, with everything you will need to take home and continue this beautiful craft. Paper-cutting is a fantastic way to unwind and is also a fabulous skill for making presents for all sorts of occasions from Christmas to the birth of a new baby, wedding gifts, invitations and much more! Please note: This kit contains blades, You must be 18 or over to purchase and use. By purchasing this workshop you are confirming that you are of a legal age to purchase and use this item.